The July/August Yale Alumni Magazine includes a piece entitled “Why ‘Bad’ English Isn’t.” Describing the work of Raffaella Zanuttini, a linguistics professor at Yale, the article’s author Peggy Edersheim Kalb, says, “Variation in our language, she argues, is a natural and very human process, whether it happens across geographic area or generations, socioeconomic lines or ethnic groups.” Kalb describes Zanuttini advocating a kind of pluralism in which "local dialect(s)" co exist with "the dialect of the elite.” Some of the dialects that Zanuttini validates are what standard bearers for correctness would call bad English. And one could probably count a number of formally educated Yale undergrads amongst those who’d hold such views in high dudgeon. After all, if you attack language, you’re attacking civilization. Huck and Jim didn’t speak correct English, but they’re characters in a novel. In fact, a new edition of Huckleberry Finn has been produced removing some of the racist language. The edition has its defenders and critics. And the issue is tantamount to the one that Zanuttini is dealing with. One could say if Mark Twain is sanctioning the use of poor grammar or racist speech, he’s setting a poor example. On the other hand, if beauty is truth, then beauty would be the victim of such a antiseptic approach to language. In Joyce’s Ulysses similarly you find a high level appreciation of language and structure coexisting with the vulgate. Anyone who has had dealings with the language police, who take particular joy in informing you it’s “he and I” instead of “him and me”will find Zanuttini’s approach refreshing, particularly since there’s an awareness of the fact that the King’s English exists in a dialectic with that of the people. Upstairs, downstairs, the high and the lo all should all be considered free speech. You don’t need no self appointed expert discountenancing your right to express yourself. Ain’t that the truth? Nina Castelnuovo’s photograph of a faceless 28 year old Tel Aviv woman, which accompanied the Times front page story “In Israel, A Push to Test For Cancer Gene Leaves Many Conflicted"(NYT, 11/26/13) presents the viewer with a congeries of troubling emotions. It’s an iconic photo that goes beyond the substance of the article itself. The woman in the photo has pulled down the strap of her blouse to reveal the scar on her breast, where ostensibly a lump had been removed. But the breast is still defiantly intact and there is even the insinuation of the aureole. 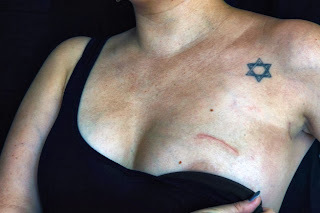 Above the incision is a tattoo of a Jewish star. The shot recalls a l964 film called The Pawnbroker in which a woman walks into Rod Steiger’s shop and pulls up her blouse in order to get what she wants. The effect of the Times image is a little like that in The Pawnbroker. Steiger, who plays a refugee who’d spent time in a concentration camp, is immediately flooded with memories, just as the reader of the Times story is flooded with associations that don’t entirely bear upon the subject at hand--which is the high prevalence of breast cancer in the population of Israeli women and the decision by those who according to the Times "tested positive for mutations in the BRCA 1 and 2 genes" to have double mastectomies, in addition to having their ovaries removed. Is the headless woman repelling or intentionally stimulating us with the revelation of her scar, her breast and her tattoo? Is she seducing us or turning us away? Tattoos and cutting are forms of self-mutilation, but they were also unwillingly inflicted on inmates in the camps. What is Castelnuovo’s subject saying? The photo is bold and sexual and in a way a jeremiad against the movement for the kind of preemptive surgery the article describes. The Jewish star was a stigma (and a source of pride) in the Warsaw Ghetto as was the tattoo for inmates in the camps. Now breasts or the absence of them have become the stigma. The Times photo with its breast and tattooed star comprises both of these painful images. How many times has your wife, husband or significant other asked, “did you fart?” You are at the wheel heading out to the beach. 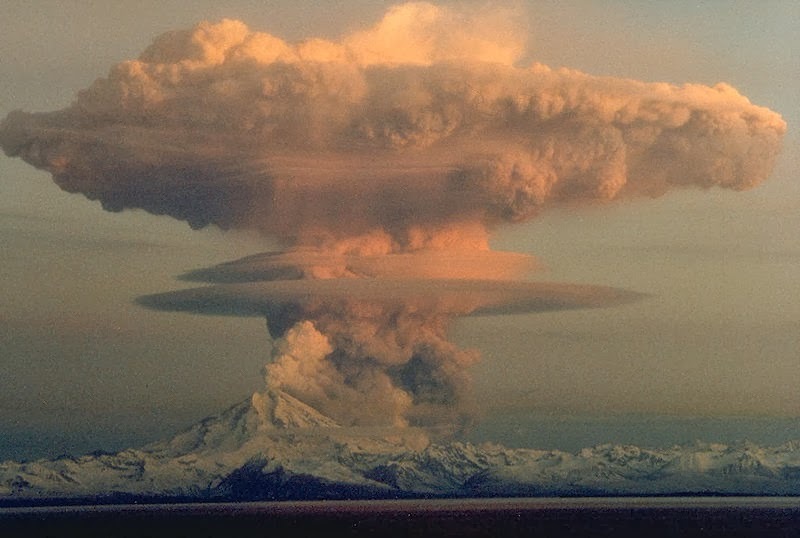 It’s a cloudless August afternoon and your apprehension of an a summer idyll, walking hand in hand along the sylvan sands is immediately interrupted by what is literally an air raid siren. What are you going to do? No good deed goes unpunished. If you admit the truth, it’s no guarantee that the admission will be met with understanding. You are not a bad person, just someone trying to get better. Yet farting either loudly or silently is often looked like public drunkenness, like an anti-social act over which someone should have control. You might be the most honorable person in the world, but feeling as if your balls (or the equivalent) have been smashed with a sledgehammer, you lie and exclaim, “no” Making matters worse, you iterate the classic saw “he who smelt it dealt it." You always knew what the expression meant, but now it takes on Shakespearean overtones. You know you have farted, but you are offering the aphorism that the person complaining is often covering up their own culpability. 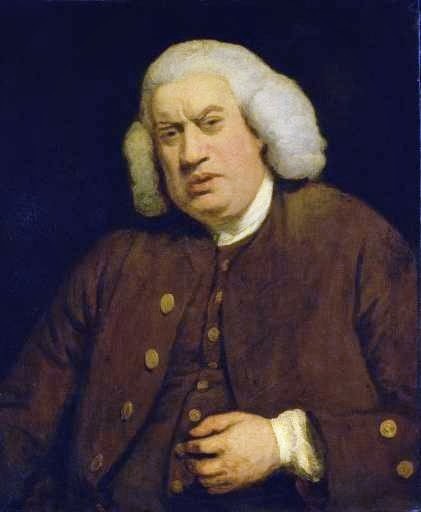 You realize you're not being a mensch, but the ugly atmosphere of distrust, in which your wife, husband or other begins to believe the lie, thinking that perhaps she or he--not you--has farted, has polluted the atmosphere even more than the original fart itself. Leon Wieseltier has written his own Tractatus. At least that’s the unequivocal aphoristic style in which the first three paragraphs of his review of Ari Shavit’s My Promised Land: The Triumph and Tragedy of Israel in The New York Times Book Review (“The State of Israel,” NYT, 11/21/13) read like. Here are some of his propositions: 1) “Israel’s problems are too often combined and promoted into a Problem, which has the effect of emptying the Jewish state of its actuality and consigning it to a historical provisionality” 2) “existence itself must never be regarded as an experiment” 3)“Israel is not a proposition…Its facticity is one of the great accomplishments of the Jews’ history.” If we think back on Wittgenstein’s Tractatus Logico-Philosophicus his proposition 1 was “The world is all that is the case” and his last proposition number 7 reads, “Whereof one cannot speak, thereof one must be silent.”With respect to his first propostion, Wieseltier appears to be in complete agreement with Wittgenstein (the title of the review is incidentally a wonderful double-entendre). 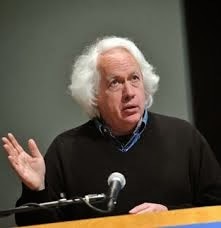 He creates a philosophical argument for a seemingly de facto state (unless one discountenances political realities in favor of biblical justifications for the piece of real estate we call Israel).Wieseltier, however, appears to be in disagreement with proposition 7, the most quoted and compelling of Wittgenstein’s statements. He is not silent about that which cannot be said. In fact, a lot of things can’t be said about any political entity and particularly one as young as Israel. The creation of both the Roman and Ottoman empires and modern nation states, like the birth and death of individuals, remains one of the great mysteries of human existence and something which great historians like Gibbon, Carlyle and Spengler have spent lifetimes trying to understand. “Train in India Hits Elephants Crossing Track” (NYT, 11/15/13) may be the saddest story reported this year. There have been many terrible stories. Certainly the carnage following the typhoon in the Philippines is a constantly unfolding Pandora’s Box of horrors. Add to that the case of Ariel Castro (“Death in Prison of Man Who Held Ohio Women Captive Prompts Investigations, NYT, 9/4/13) and the kidnapped girls in Cleveland, the young woman recently shot in the face in Chicago (“Fatal Shooting of Black Woman Outside Detroit Stirs Racial Tensions," NYT, 11/14/13), the 9 year old boy killed (“Boy, 9, Is Killed by S.U.V. in Brooklyn,” NYT, 11/2/13) when a SUV jumped the curb in the Fort Greene section of Brooklyn, the twisters that recently reeked havoc in the Midwest. Add to that the suffering that still lies in the wake of Sandy and the fact that there are people in New York and New Jersey whose lives have still not returned to a semblance of normality (one displaced family was reported eking out an existence cramped into a Times Square hotel room where they have subsisted on fast food). Rob Ford continues to provide comic relief as North American’s resident Falstaff and George Zimmerman keeps getting arrested. The power of poetry is that it contains eternity in a finite number of words. The elephants are like poetry. The image of them being destroyed epitomizes both the sentiments of helplessness and senselessness which is the essence of pure tragedy. In addition elephants are large and stately, fitting the Aristotelian view of tragedy, which alludes to the fall of a person of greatness. What could be a greater representation of the greatness itself than the elephant? There was one female elephant who the Times said literally “fell into a ravine below the tracks." 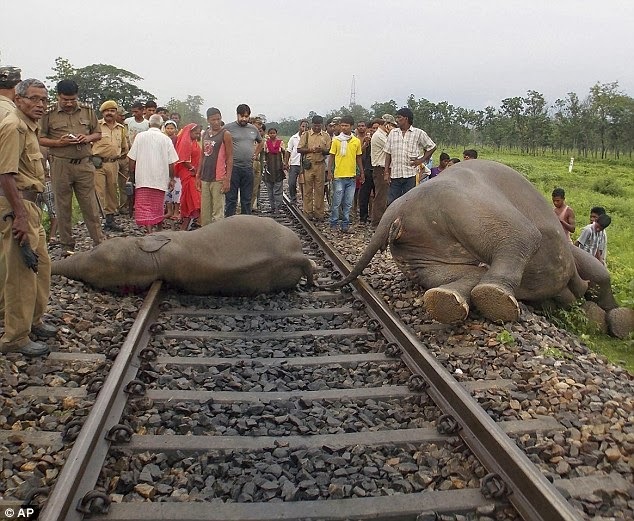 The Times quoted a statement Hiten Burman West Bengal’s forestry minister gave to the Associated Press to the effect that “The herd scattered but returned to the railroad tracks and stood there for quite some time before they were driven away by forest guards.” The image is awful and yet also creates its own brand of awe. “More than 26,000 elephants are believed to live in India, where they are closely associated with the Hindu god of wisdom,” was how the Times writer Hari Kumar began his concluding paragraph.